75% Nomex® IIIA / 5% Kevlar® / 20% Modacrylic. 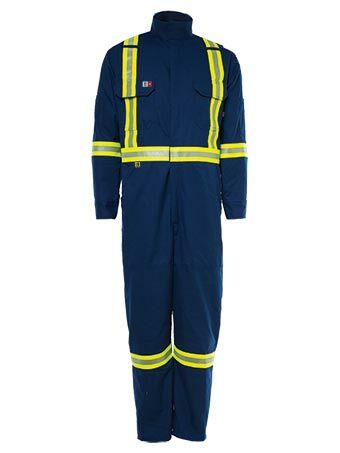 • Two-way concealed Nomex taped brass zipper front closure. • 2 hidden snaps front closure on collar and 1 hidden snap at waist. • 2 double stitched back pockets (hidden snap closure on left side).